Help! Can any body identify this bandolier marking? 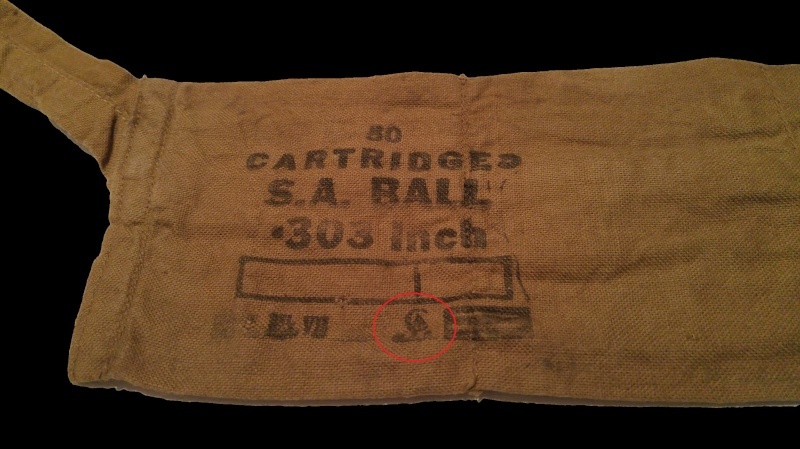 Do any of you recognize the stamp below the Canadian broad arrow circled in red? It is smudged and looks like it says 'RIA', but I think it is probably DIL for Defence Industries, Limited or CIL for Canadian Industries, Limited.